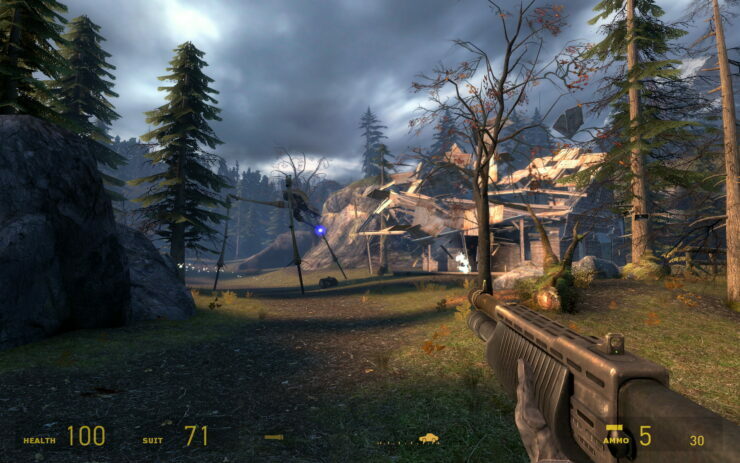 Half-Life 2 VR Gets New Teaser Trailer; Mod To Release "Soon"
It’s been over 10 years since the release of Half-Life 2, but players are still finding new ways to enjoy the classic first person game developed by Valve. And soon enough, the owners of VR headsets will be able to experience Gordon Freeman’s adventure in a brand new way. A few hours ago, a new teaser trailer has been released for the Half-Life 2: VR mod, a mod that will allow owners of the Oculus and HTC Vive headsets to enjoy Half-Life 2 in VR. Mr_So-And-So, one of the mods of the Half-Life 2: VR subreddit, also revealed that there will be a Steam Greenlight campaign, which will launch soon. The mod itself should launch soon, but how soon depends on how the polishing process goes. “The best game ever made” and “IGN 9.7/10” is coming, with roomscale, to the Vive and Rift, and it’s coming soon. How soon? Well, we want this to be polished, so it’s anyone’s guess, but soon. The first step is a Steam Greenlight campaign, which will release soon, so keep an eye out for that. If anyone with an appropriate skill set wants to help, you can message the mods for further direction. I trust it will all make sense to you in the course of… well, I’m really not at liberty to say. In the meantime; this is where I get off. The Half-Life 2: VR mod will launch on a yet to be confirmed date, with a Steam Greenlight campaign launching soon. We will keep you updated on this mod as soon as more comes in on it, so stay tuned for all the latest news.